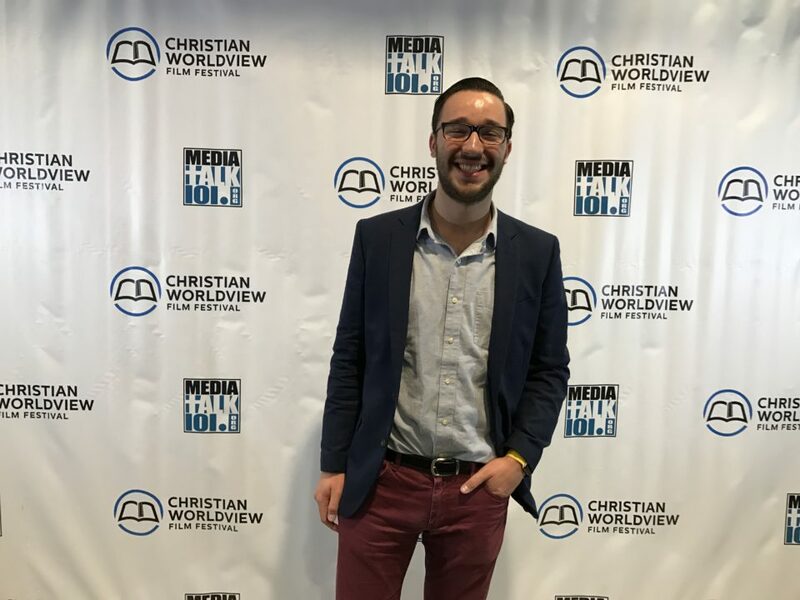 1,453 miles later, Josh arrived in San Antonio for the Christian Worldview Film Festival. The festival had been going on for a few days and, to Josh’s surprise, there was already some buzz surrounding our short film, Carry Me Home – a finalist of the festival. We had local support for the film, but we only hoped that our film could span beyond that reach. We were humbled to find that our film was able to resonate with audiences hundreds of miles away from home. Even though people seemed to have enjoyed our film, Josh didn’t expect to win anything. There were many films that were worthy of recognition and he was happy just to be a part of the energy of the festival. But to his surprise, when winning films were announced, Carry Me Home’s name echoed across the room…again, and again, and again! Out of the awards Carry Me Home was given, we were most humbled by the “American Heritage Award.” Philip Telfer, a festival judge, introduced the award by saying that our film captured an “important snippet of history that our generation needs to know and must not forget” as he announced the award, we were overwhelmed. When LampHouse started working on Carry Me Home, of course we hoped it would be successful. The film is so close to our hearts. It’s the first short film we ever created and we believe its heroine is deserving of recognition for her selfless life. But we didn’t know it would be as warmly received as it was that weekend. To have our film acknowledged in that way left us even more encouraged to continue to develop the feature-length version of the film. Even if we wouldn’t have won anything, we would have considered the experience a success. It’s always a good time when you get to connect with others within your industry and refreshing to meet people who share the same interests and beliefs. Passion is infectious. You leave affirmed and more grounded in the path that you’ve chosen, inspired to continue to grow and keep creating. Who could ask for more?